found in Greece an interesting push-on hood with set screw originally meant for the (first?) 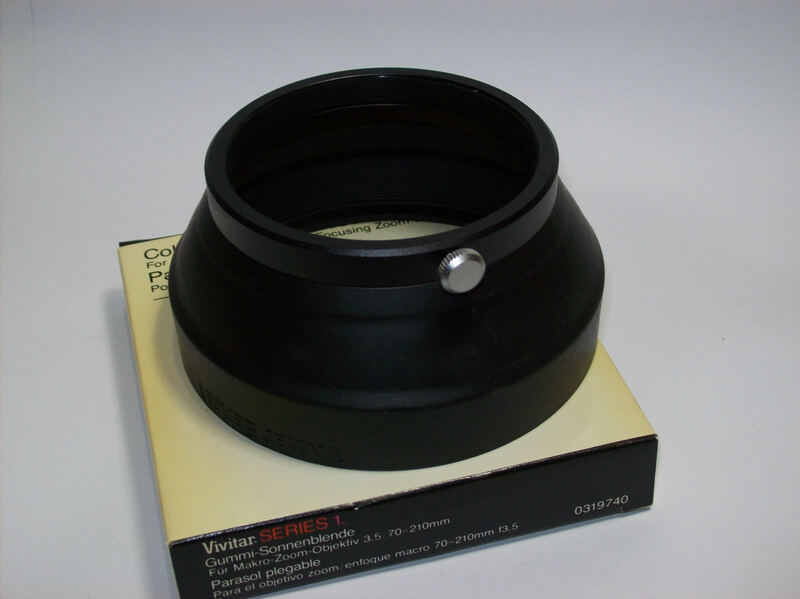 Vivitar Series 1 3.5/70-210mm. It does not have a front thread, I guess because a 67mm screw on lens hood would probably vignette, and also because the first version (which is the one I have) already had a set of internal filters. Unfortunately such extreme wide angle calls for a proper hood, even more so if used on full frame, but the original hood is quite rare and definitely expensive! The Vivitar hood should fit the same diameter (finger crossed..), but is not properly shaped (was made for a tele zoom), so my plan is to see if the rubber part is removable, and exchange it with a wider, flatter one, coming from a conventional screw-in foldable rubber hood specifically made for extreme wides. 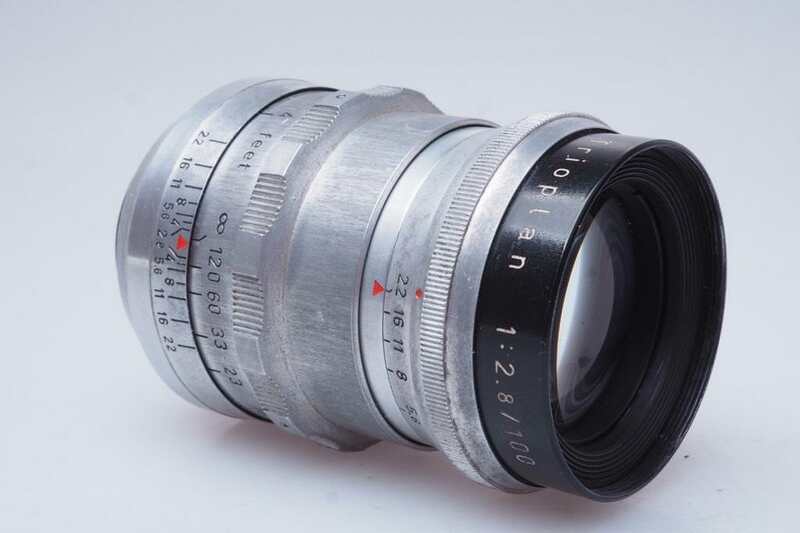 Another "project item", a lot more expensive, is a Meyer Trioplan 2.8/100mm in M42 mount, with the barrel in not so good conditions, the iris leaves that don't make a perfectly rounded hole, but seemingly with good glasses. I have a long story with Trioplans... I own many of them, from the little 45mm extracted from the Pentona, up to the focal of 360mm (for ULF). 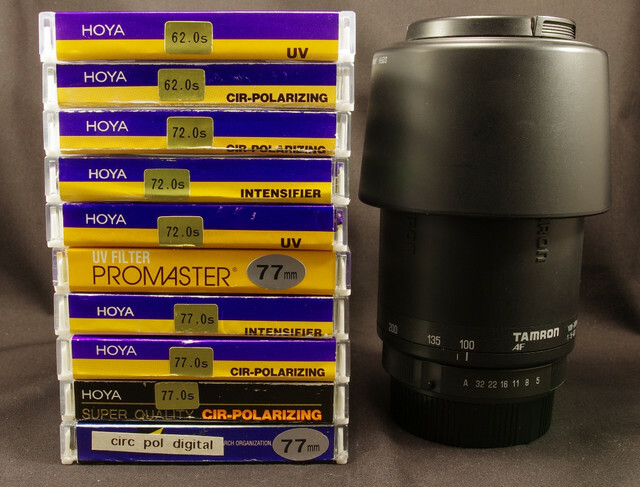 It's not meant to be a Trioplan collection, for example I don't have the little one in C mount, the super expensive 270mm with soft focus ring, nor the modern remakes. It just happened that I bought a couple of Trioplans when I used large format, I liked them a lot, and when I switched to digital-only I decided to buy the Trioplans that are available in compatible mount (M42), or adapt those in other mounts, limiting the choice to the focals that could be useful on full frame or APS-C.
A couple of them came fitted in leaf shutters, and I found that there is not enough flange distance to allow to use a focusing helicoid for PK. I can use them on my old m4/3 and maybe one day on a used Sony A7. 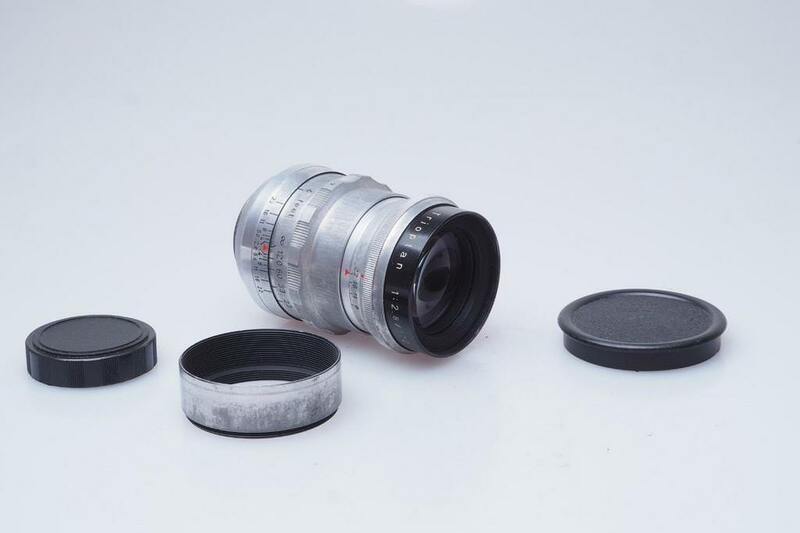 The 2.9/50mm in Altix mount was converted to M42 mount. I did the work myself. The Trioplan N 2.8/100mm, the zebra one available only in Exakta mount, was masterfully converted to PK mount by my friend/repairman Mario Tartarini. I have it in my bag all the time. Unfortunately it does not have the rounded aperture of the previous "silver" version, so I use it wide open all the time. Soap bubble bokeh has to be perfectly round, isn't it? Time ago I saw a nice M42 example of the first version with 15 diaphragm blades. I saw from the picture that all the blades were out of place, and optimistically I thought that they could have been restored to their proper shape, even if bent, using an iron. The reality proved to be much worse, ALL of them were broken! 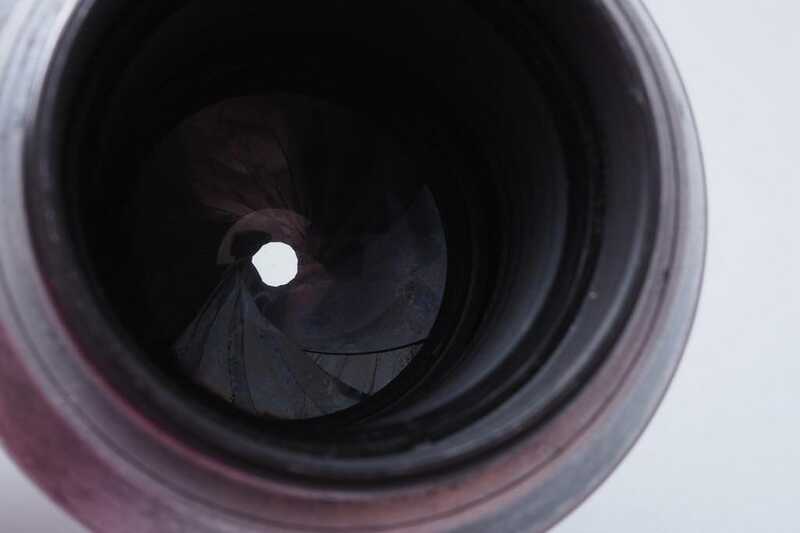 I had a beautiful Trioplan with nice barrel and spotless glass, but with no iris. Since then I waited for a decently priced Trioplan with all the blades. The other parts are just fine, the mechanism works, I just needed the blades! Well, after waiting for a long time for an Exakta version (that usually comes cheaper) with bad glasses and/or barrel, but with good diaphagm blades, I finally won a Trioplan that still has its blades in place. Considering the state of conservation, I paid a very decent price. It's even in M42 mount, not Exakta, and apparently the optics are fine. I will try it as soon as it arrives, compare the performance with the zebra one, and check the differences (for example if from one version to the other the coating was changed). After that, when I return in Italy, I will handle this one to the friend who still has the other mutilated Trioplan, and make one shiny, like new Trioplan out of two. I understand that all this fuss is driven by full blown collector's mania, but I guess I'm not the only one. I absolve myself thinking that some people spend even more, and go to even more extreme lengths, following their personal photographic desires (read: Japan-made Limiteds, low serials, etc). push-on hood with set screw originally meant for the (first?) 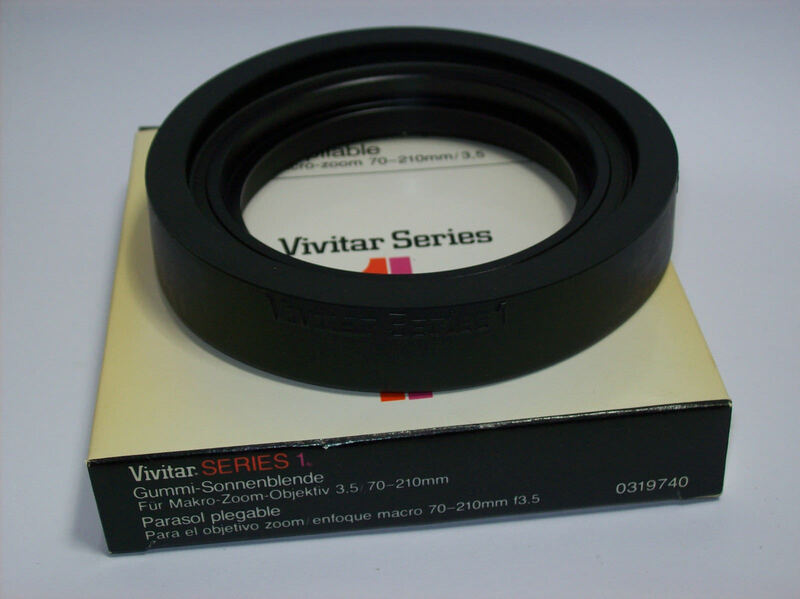 Vivitar Series 1 3.5/70-210mm. I have that hood. It came with the Kiron version, mine is K-mount. My daughter or wife should like this for their small Pentax dSLR kits. I like how this bit is just tacked on as an afterthought. They make great bags! I have a Signature 13 bought from a member. I actually use it as my K-1 bag when I need to pack a long lens. just bought a teleplus MC4 2x converter for $18.00 incl postage. When I got the box it had a price ticket of $120.00 which was the price back in 1989. Don't need to be frozen if you are counting calories, and if you do eat them they won't make you fat. I think Doc thinks like me: "I'm not weather sealed!" We are looking at a foot of snow today. It's already about 8 inches (20 cm) deep. No sweat for the Tundra, but it's going to be a lot of sweat for me later with shovel and snowblower. My neighbours work, so I do theirs on weekdays. They tend to do "the old guy's" driveway quite often before he finishes his morning coffee on weekends, and the lawn in the summer.